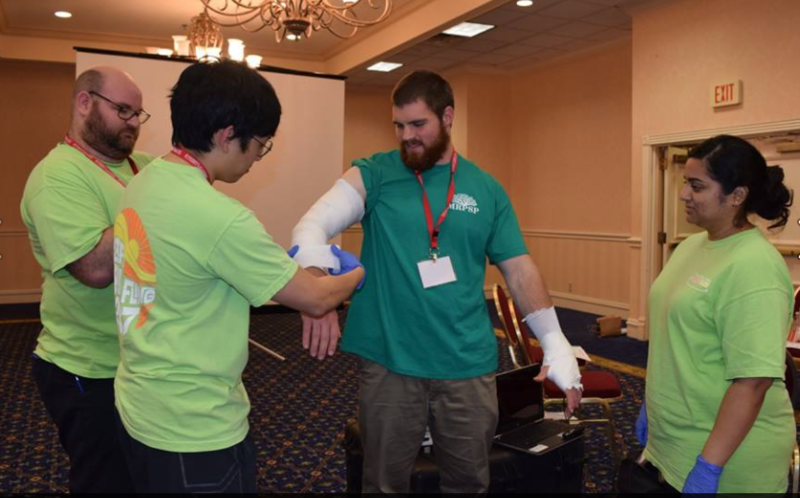 Alongside MAFP member physicians, medical students get hands-on instruction at MAFP’s procedural workshops, held at MAFP Spring Fling. Explore family medicine with a free membership to MAFP/AAFP and find your peers and resources you can use in medical school. Form your future with the specialty that lets you be you. Being a family physician allows you to focus on the whole patient. It is a “customizable” specialty allowing a broad scope of practice ranging from urban settings, rural settings or academic family medicine. Family medicine is centered on the personal relationship with patients sometimes treating the entire family. Some of what the specialty includes: health promotion, disease prevention, health maintenance, counseling, patient education, diagnosis and treatment of acute and chronic illnesses in a variety of health care settings. Generally, more patients are seen by family doctors than any other specialty. The MAFP offers several opportunities throughout the year for medical students to network with our physician members and residents. We encourage you to utilize this time to gather information regarding Family Medicine that you may not always find in the classroom. It is important to build a strong foundation within the medical community and the MAFP provides the setting to foster these relationships. The MAFP and MAFP Foundation both provide opportunities for the future leaders of family medicine to enhance their education, make connections and gain “real world” experience. Both organizations seek dynamic medical students (4) and residents (4) to serve a 1-year term on the Board of Directors for each organization. Interested students and residents should complete a 2019 Student and Resident Board Application (due March 30, 2019) and review 2019 Student and Resident Board Campaign Rules. The Board of Directors Application and additional required documents must be received at MAFP at a predetermined deadline in the Spring. Elections for these board members takes place at the Spring Fling Conference. The Future in Family Medicine Spring Fling is held each April specifically for medical students and residents. The conference features procedures, practice topics, panel discussion and the opportunity to network with practicing Mississippi family physicians. Get more info on our Spring Fling page. ROMP – the Rural Opportunities for Mississippi Physicians career fair – is held in connection with the MAFP Spring Fling each April. ROMP helps residents and students discover opportunities for all specialties in dozens of Mississippi’s rural communities. You’ll have the opportunity to network with potential future employers and colleagues, and learn about special incentives such as loan forgiveness and repayment options. More information on the Office of Mississippi Physician Workforce website. Student National Leadership Positions – Medical students can serve in American Academy of Family Physicians leadership positions for a 1-year-term, many beginning in the fall. Some positions are elected and some are appointed. Family Medicine Emerging Leaders Institute – This is a year-long program open to residents in their first, second or third year and medical students in their second, third or fourth year. Recipients receive a $1,000 scholarship to attend National Conference, a family physician mentor/role model, and the opportunity to develop and complete a Leadership Project. To apply for 2019, the deadline is March 1, 2019. Each year, the AAFP hosts a National Conference for Residents and Medical Students to learn more about family medicine, explore residency programs, and connect with potential employers. The event features workshops, musculoskeletal clinics, procedural skills courses, and sessions about applying to residency. The next conference is July 25-27, 2019, in Kansas City, Mo. Each year the ‘Family Medicine Leads’ Scholarships are provided by the American Academy of Family Physicians Foundation. In 2017, 250 of these scholarships were awarded. Winners attend National Conference. All scholarships are made possible by the donations of family physicians across the country. See information below on how to apply. Medical students at both the University of Mississippi Medical Center and William Carey University College of Osteopathic Medicine teach the Tar Wars program to a 4th or 5th grade class. In addition, family physicians, school teachers, school counselors, nursing students and others teach the program each year. The American Academy of Family Physicians offers an online debt management resource to help you develop a plan to finance medical school, identify specific strategies for covering those costs, and creating an annual budget timeline for reassessing those costs. This information will provide you with practical tools to better understand the issues and sources of aid as you apply to medical school.